The left-handed batsman also showered his blessings on Izhaan. Sania Mirza, the ace Indian tennis player and Shoaib Malik, the veteran Pakistani all-round cricketer, gave birth to their first baby last Tuesday on October 30. Following the delightful news, both sportsperson were showered with accolades from every nook and corner of the world. The seasoned campaigner Malik also shared a tweet, showing his ecstasy. Later, the couple named their baby boy as Izhaan Mirza Malik. The name means submission or obedience (in God) in Arabic. The cross-border couple tied the back on April 12, 2012, and was thereafter a recipient of severe criticism. However, they weathered every possible storm and their relationship also flourished while giving couple goals to aspiring lovebirds. Recently, Malik was lauded for his dedication and commitment towards the game. Soon after the birth of his child, he went to the United Arab Emirates (UAE) in order to play the three-match T20I series against New Zealand, which the home team won 3-0. Previously he also played a few matches in the erstwhile T20I series against Australia. Malik and Mirza also played alongside each other in the Asia Cup where India and Pakistan locked horns with each other twice. Both were in decent form and played some useful knocks in the multi-nation tournament. 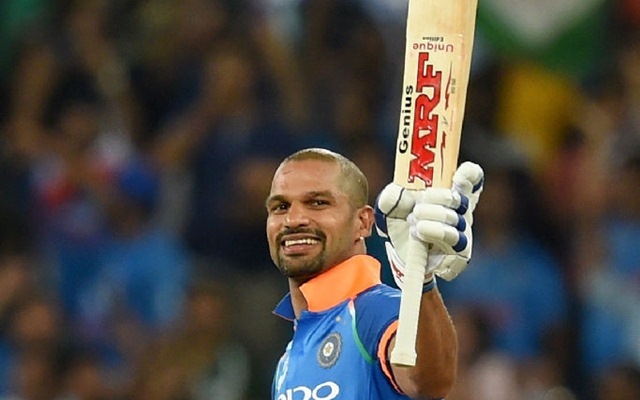 While Dhawan’s India won the event for the eighth time, the Men in Green bowed out of the event before the final owing after their defeat against Bangladesh.